Lee Crusius graduated from Hackensack High School in 2002 and serves in the Coast Guard in Alaska. 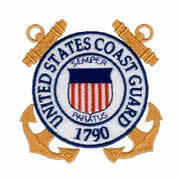 Lee graduated from the Coast Guard Academy in 2006. Lee was involved in a rescue in the waters by Alaska. 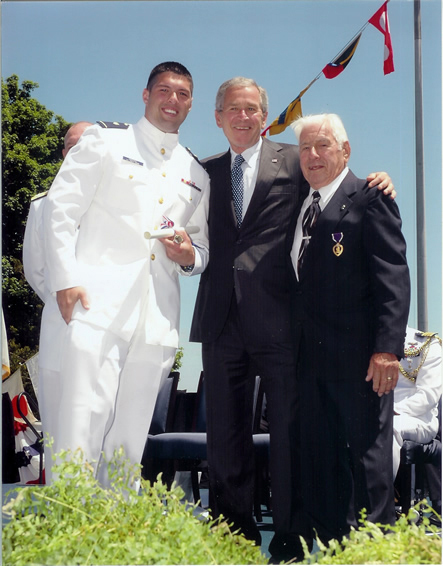 his grandfather Louis "Lee" D'Arminio and President George Bush. because he received a Purple Heart, or the President. Purple Heart he is wearing in the photo while he was serving in World War II. Lee Crusius's father is Ken Crusius who was a Vice Principal at Hackensack High School for many years. Ken's father-in-law is Louis "Lee" D'Arminio. Terry Crusius is Ken Crusius's wife and the daughter of Louis "Lee" D'Arminio.